Choosing your child’s car seat can be a tricky one. 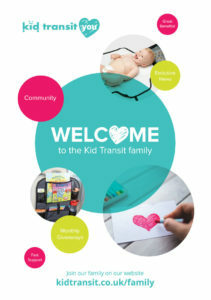 It’s important to get it right, ensuring that it’s safe, secure and comfortable for your child. 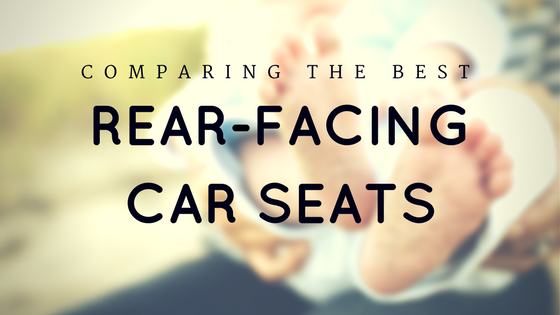 Today, we are reviewing three well-loved car seats: the Graco Milestone, Maxi Cosi Pebble Plus and the Cybex Sirona Plus. The Graco Milestone may be the only car seat you ever need to buy. If that’s not enough to make you buy it, we don’t know what would be. 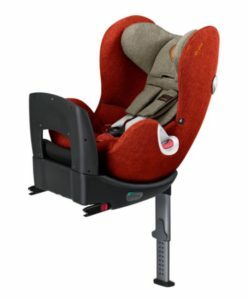 You can use this seat from birth right up until they are 12 years old because this car seat can be easily converted from rear-facing (Group 0+ / 0-13KG) to forward-facing (Group 1 / 9-18 KG) or to a highback booster seat (Group 2-3 / 15-36KG). Meanwhile, the seat is comfortable and sturdy, with easy-to-use straps that can be fastened securely in a hurry. The easy-to-clean. machine washable fabric means that you really could get away with only purchasing one of these seats for your newborn. Additionally, the durable, steel-reinforced frame assures longevity. Another useful feature of this seat is its detachable cup holder, making it easy for your children to stay hydrated during their journey. The downside to this product is that the seat is quite bulky and heavy, weighing 8 kg and with a 45 cm width. This isn’t ideal if you need to use more than one seat, or if you have a narrow car. This rear-facing, Group 0+ seat is suited to babies from one-day-old to one-year-old. Boasting fantastic safety results with great protection against side impact, this carrier is sturdy, whilst still being lightweight, weighing almost half the amount of the Graco Milestone. The material of this baby seat has a great quality feel to it and the well-padded cover can be removed and popped in the washing machine. It’s easy to install with a one-click ISOFIX installation and can also be fixed onto a Maxi Cosi pushchair, making it a very flexible travel system. Another excellent feature of the Maxi Cosi is that it can be used on most aeroplanes (although check with your specific airline before you travel). Meanwhile, if you’re concerned that the seat won’t be compatible with your vehicle, you can check on their handy website. Of course, no matter how snug and safe this car seat is, you will have to buy another one after one year, something you don’t have to worry about with the Graco Milestone. The Cybex Sirona Plus can also be used from your baby’s birth up until their around 4 years old and has one of the best crash-test results on the market. For extra safety, the Cybex Sirona Plus has a support leg to stop the seat pivoting forward during a crash. Parents will be pleased to hear that the fabric covers are machine washable, so you can easily clean grubby finger marks and spills. Designed for an ISOFIX based, this seat is easily installed with just one-click. Once they have reached 13KG, the seat can be spun around and used as a front-facing seat, still allowing your baby to rest in a comfortable position. This 360° rotation capability allows parents to have an easier time getting their child in and out of the seat safely; simply spin the chair to face the door for ease of access. 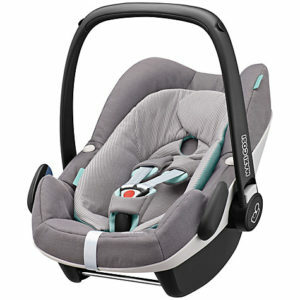 Like the Maxi Cosi, you can check the Cybex’s compatibility with your car on their website. The downside to this fantastic chair is that it weighs a hefty 15KG, meaning it can be difficult to carry baby to and from the car. Also, because of the support leg, you may struggle if you have under-floor storage space in your car or little leg room in the backseat. 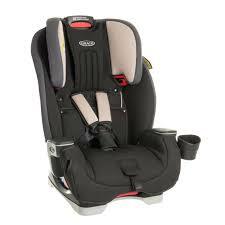 For longevity and value of purchase, we’d advise you to go for the Graco Milestone car seat. 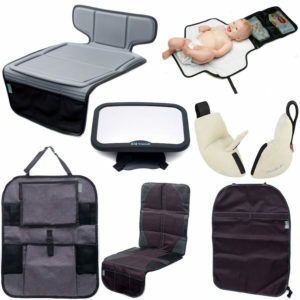 It provides you with all your car seat needs, right through until they are 12 years of age. In the meantime, choose the Maxi Cosi for a lightweight, flexible solution to suit various needs throughout your first year as a parent. Finally, the Cybex is ideal if you want 100% piece of mind as well as practicality. It’s pivoting seat is a winner for us as it saves a lot of time and energy when getting our baby in and out of the vehicle.